Long time no see, have you been hiking? I have 😀 ! Between all these Christmas markets, Gluhwein evenings (I just can not get enough Gluhwein 😛 ) and Christmas parties, I finally found time and will to go hiking again. Originally I had a different hike planned but then life happened. I discovered that I had a concert ticket for a concert on Saturday night and that the weather was not looking too good for Sunday. Luckily my dear love managed to convince me to go on an easy hike on Saturday :). Normally I am not hard to convince, but on Friday evening I was still feeling little hangover from a Christmas party we had at work and did really not feel liek going hiking on Saturday. Especially when I knew that I also had to go to a concert after the hike. Luckily my love did all the packing and preparations so I just needed to say yes! Time: depends on your speed, but approximately 3 hours to Riesenkopf and 30 -40 min to Maiwand. 1,5 hour down from Hohe Asten. Elevation gain: Approximately 1000m, little more it you do Maiwand. Transport: approximately 1 hour by train from Munich direction Kufstein. This hike is very easy, so it is perfect for a beginner or for a family – EXCEPT Maiwand! Maiwand peak is therefore optional. It is just for the more adventitious ones, because it requires surefootedness and that you are not afraid to climb a short wall using only rope. If you don’t feel up for it just go to Riesenkopf and back to the hut. On Riesenkopf we had a loong break and just enjoyed the sun. Here are some pictures from Maiwand. No extra equipment is needed. If you feel safer you can take a helmet with you, but there is no danger for loose rocks. We split the group into two and it was only four of us doing Maiwand in the end. Surefootedness is needed on this short but exposed ridge. If you look closely you can see the Maiwand peak on the background. As you see there are two tricky parts to hiking Maiwand. The path to it is quite hard to find. Basically when you see the red sign saying “Nor for güpte” this is where you need to take to the right to do the pike. BTW, you can easily see Maiwand from Riesenkopf . After taking to the right at sign, you just need to try to keep going right the path is really not marked. But after a short while ( 5 – 8 mins) you can see the peak and you will know where to go. There is a approximately 6 m high wall where you have to rely on a rope to get down (see the pics in the slideshow). The rope is already there so you don’t need to bring your own. Hohe Asten is usually open the whole year and is a very nice hut for enjoining a beer with a nice view. What is your last hike of year 2016 and what hiking plans do you have for 2017?? Did you see the supermoon? From Jochberg (1565m) you could. So on Monday everybody were exited about the “supermoon”. Apparently the moon did appear larger than it has since the 1940s. It was supposed to be the whole 14% bigger and 30% brighter compared with the smallest full moons. Pay attention to that last fact “compared with the smallest full moons.” In other words it was not THAT big, but I still thought it would be worth taking a step outside to see this supermoon and so at the last-minute, I joined a hike that a friend of mine was organizing. This meant that I had to pack everything the evening before and take it with me to work. I did not even have enough food in the refrigerator to make sandwiches, but once I have decided something, nothing can stop me! So I packed everything and got up 6:20 to buy some sandwiches from the bakery and get to work early. At 4 a clock I left work and had to get to the other side of Munich, where we were to meet. One hour later we were on our way. Once again I was hiking with new people who I had never met before. This is almost becoming a habit :D. We were a group of five and had a really nice time. This was also my first winter-night hike in a very long time. I think I did something like this back in Norway but in a much smaller scale. We were truly hiking in winter wonderland. I must give my friend Anna all the credit for choosing the mountain and planning the hike. I know she put a lot of effort into finding the perfect mountain where we could see the moon. And perfect it was 🙂 . Route: Parkplatz am Kesselberg (850 m) – Jochberg (1565 m) – Parkplatz am Kesselberg (850 m). Time: Estimated time was 2 hours to the top, but we used closer to 1,5h. The drive there from Munich took ca one and half hour. We honestly thought that we would be the only crazy people going hiking in the middle of the night just to see the moon, but when we got there, there were about 4 other cars already parked. Turns out we are not the only ones who had this idea! We started from the parking lot with lots of layers and headlights. After 10 minutes the layers came off and after 30 minutes we turned off our headlights. It was so snowy and the moon was indeed very bright, so the headlights were not even needed. There was however a lot of fog, so we could not see the moon. At ca. 1400 meters (when the forest ended) we finally walked out of the fog and saw the moon. The magical moment as we exit the forest and see the moon. So imagine this: you are standing in the snow, under the stars, under a bright moon, you look down into the valley and it is covered with thick soft fog. In the horizon you see all the mountaintops reaching out of the fog. It was amazing. The fog in the valley and the mountaintops rising up from it – Amazing. Tonight, the full moon will appear larger than it has since the 1940s. The moon will appear around 14 percent bigger and 30 percent brighter compared with the smallest full moons. It will be worth taking a step outside to see this super supermoon. What is a supermoon, and why does it happen? The moon’s orbit around Earth is not a perfect circle. It’s an ellipse, a saucer shape that’s longer than it is wide. That means as the moon follows this orbit, it’s sometimes closer to the Earth and sometimes farther away. At perigee, the closest spot in its orbit to the Earth, it’s around 31,068 miles closer to Earth than at apogee, when it’s farthest away. These two phenomena don’t always match up, but when they do, astronomers call it a perigee full moon (a.k.a. super moon). This occurs about one in every 14 full moons, Jim Lattis, an astronomer at the University of Wisconsin Madison, notes. The relative difference in size between a full moon at perigee and apogee. It does appear bigger, but not dramatically so. To be sure, this isn’t an enormous difference compared with a regular full moon. Neil deGrasse Tyson has called the frenzy around supermoons overblown. “If you have a 16-inch pizza, would you call that a super pizza compared with a 15-inch pizza?” he said on theStarTalk radio show. But why is this supermoon extra special? The moon will appear slightly larger than it has in decades because of mere chance. The moon will reach fullness just three hours after perigee on November 14. Because perigee and the full moon are so closely timed, this full moon will be the largest (relative to our perspective on Earth) since 1948. The next-closest supermoon will be in 2034, as NASAreports. 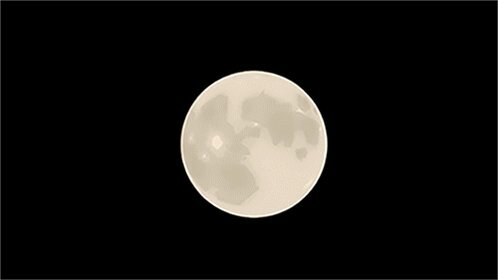 Again, though, the differences in size between a really close supermoon and a typical one would be are pretty negligible. The full moon Monday will be just 30 miles closer to Earth than the last record in 1948, National Geographic reports. In astronomical terms, that’s tiny. The moon will also be a bit brighter than usual — also due to the fact that it will be a bit closer to the Earth. And if you miss it, fear not. We’re currently in a run of supermoons, and there will be another on December 14 (it won’t be quite as big). After that, we’ll have to wait until December 2017 for the next one. Correction: This article originally misstated the how the moon’s phases occur. They do not occur due to the moon’s passing in and out of the Earth’s shadow. Rather, they’re due to thechanging angles between the sun, Earth, and moon. What will science funding look like under Trump? Here’s one prediction. We were the only ones on the top and enjoyed our warm tea (me) and gipfel beer ( Anna) with amazing view. On our way down we had some problems because it was very slippery. Actually we were counting who fell the most :D, but after a while we came out of count. There were couple of very funny falls :D. Luckily I had my (new 🙂 ) hiking poles with me and did not fall once! I would totally do this hike again during daytime. During day, you should see Walchensee, Kochelsee, Riegsee, Staffelsee and Starnberger See! Walchensee and Kochelsee being the closest biggest lakes. You can see a summer panorama here. The day after this hike I was a Zombie.. So tired, I got to bed at 1 AM and had to work the day after. That gave me ca. 5,5 hours of sleep. In other words, after-work-hiking is not something I would consider doing often :D.
Did you see the supermoon? Could you tell that it was bigger? Don’t let others crush your hiking dreams! X: So what are your plans for the weekend? Me: Actually I will go hiking. X: (Rolling eyes) off course you are. People don’t always understand why somebody would climb 1500 meters to the top of a mountain just to walk down again (and I don’t understand why people who take cable-car up a mountain :D). Many people seem to think that what I do is “Extreme”. For example my grandmother tells me every time we talk that I should not reach for the “extreme”, because I will only end up injured. For her extreme would be everything from running a marathon to doing a handstand. Sometimes it really feels like people just want me to sit still the whole day! And for what? So that I would not have pain in my knees when I turn 60? It is frustrating :(. I have found something that makes me wake up early on a Sunday morning, that gives me this inner peace and inner drive at the same time. When I have been in the mountains I feel like my weekend is complete and when I don’t go to the mountains I feel like I am missing out. Why would I stop with something that is healthy and makes me happy? If you have found something like this, you should not give it up or restrict yourself. You should embrace it and develop it. Simply do more of what makes you happy! You can not change your family, but you can choose who you hang out with. Therefore to balance all this negativity I try to find people who are as “extreme” as me or much worse :D. People who I can look at and think ah I would like to be like this. People who have done hikes that inspire. People who share my passion and understand by drive. It is ok that not everybody understands the need to sand on top of a mountaintop (more mountains for me 😛 ). We are all different and have a right to like different things, but don’t let friends or family limit your goals and ambition. Do what feels rights for you and that makes you happy. If it is 7 days hiking in the alps, or climbing a difficult mountain so be it.